Do I Get Scratch Paper on the LSAT? 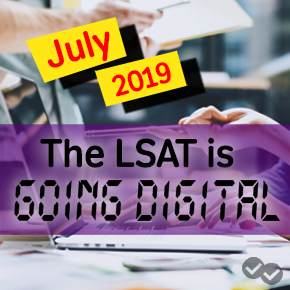 If you’ve taken a practice test or two, you may have noticed how little space you have to sketch out your answers on the LSAT. In the logical reasoning sections, you’ll most likely need to do plenty of writing before you can confidently choose an answer choice. You’ll often want to diagram conditional statements, keep track of wordy statements, or even simplify complex sentences. In the reading comprehension section, you may want to note down major ideas in a passage, note down difficult vocabulary, or even make small illustrations to help you visualize a complex process in a science passage. And finally, of course, you have the logic games. If there was ever a need for scratch paper, it would be for the logic games. You’ll need to diagram hypothetical situations, keep track of pieces and game boards, and note down rules. However, unfortunately, scratch paper is only allowed in the writing section. And that will change soon with the advent of the online Writing Sample in July 2019. So what’s a student to do? Firstly, it’s important to be as efficient and economical as possible with the space you are afforded. On logical reasoning sections, the amount of space between the two columns of questions, and in the margins should be used to diagram your conditional statements. Even though you won’t have extra scratch paper, if you write small and neatly enough, you will be able to diagram what you’ll need to, especially because you will not need to diagram for every single question. To be sure you’re in the habit of writing efficiently on test day, it’s best to practice this handwriting on practice tests (and even as you write in your daily life). Although you don’t get extra scratch paper, at least you’re going to take the LSAT in the era of two-page logic games! It’s hard to imagine, but in the past, entire games, along with their 5-8 questions, were squeezed onto one page at a time! The logic games section used to be only four pages. In what seems to only be an experiment in torture, test-takers were forced to diagram all hypotheticals in the space below the questions or in the tiny margins. Thankfully, since 2012, each game is spread out within two pages, giving you about a page worth of writing space per game. Finally, remember that writing takes time. Perhaps it’s for your benefit that extra paper isn’t given for all sections. Imagine how much time might be spent on just one question if you had a whole blank page to fill. Out of sheer nervousness, I’m sure many students would trap themselves by spending too much time writing unnecessarily. 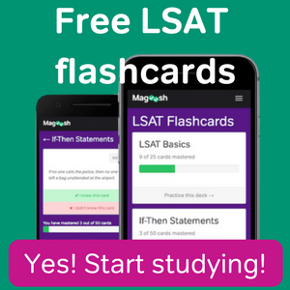 Solidify your skills with Magoosh LSAT Prep so you’ll have the utmost confidence on test day!